Your Ticket to Great Entertainment! 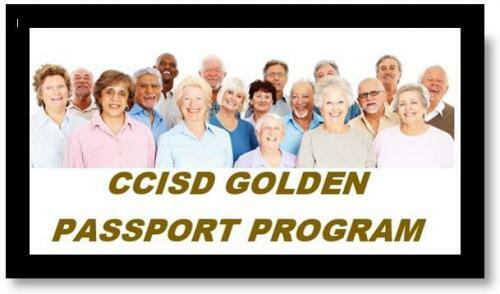 The CCISD Golden Passport Program is exclusively for residents of Copperas Cove who are 55 years of age or older. By becoming a Golden Passport Member, our senior residents can continue to be active in programs sponsored by CCISD schools at no extra cost! Any resident of Copperas Cove who is 55 years of age or older is eligible for membership in the Golden Passport Program, free of charge. For membership in the CCISD Golden Passport Program, simply visit the CCISD Athletics Building, 400 South 25th Street. For more information, contact Becky Jewell at the Athletics Department 254-547-4111 or beckyj@ccisd.com.